Designed specifically to enhance the slow-cooking process by evenly distributing heat and locking in the optimal amount of moisture, the Signature Collection round French Oven blends the best of the past with the latest innovations for comfort and functionality. 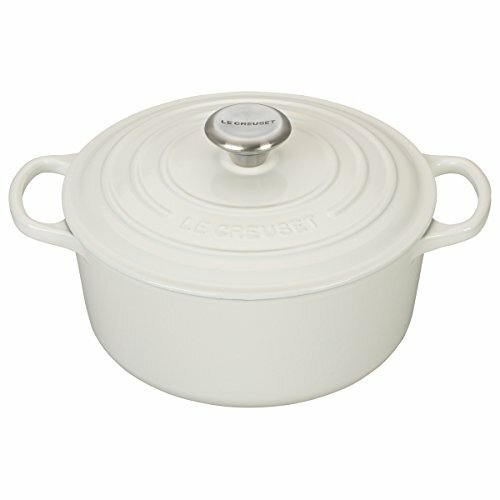 Handcrafted one at a time inside our Fresnoy-Le-Grand foundry for nearly a century, Le Creuset round French Ovens have been a fixture in homes and restaurants around the world for generations. Their enduring quality, wide-ranging versatility and stylish colors have made them indispensable in the kitchen and cherished around the table.